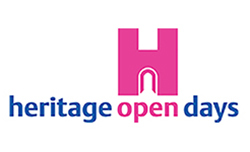 Heritage open days is England’s largest festival of culture and history and for the first time in its 24 year history the festival timetable has been extended to take place over two consecutive weekends starting Thursday 6 September. Also happening this year is the celebration of the Universal Suffrage Act centenary. This provides the festival’s focus on Extraordinary women with events and exhibitions telling the stories of both well-known and less celebrated women. There are lots of events in Hinckley and Bosworth between Thursday 6 and Sunday 9 September and between Friday 14 to Sunday 16 September 2018.